Commemoration of 53rd anniversary of plane crash that killed leaders of the East Turkestan Republic. leaders of the East Turkestan Republic. Showing solidarity with a free and independent Taiwan! In front of the so-called Mausoleum of Genghis Khan exhibit at Florida Splendid China. 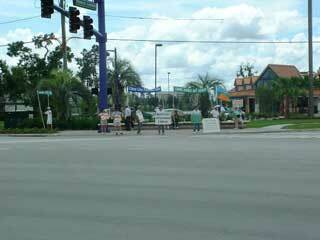 Demonstration at corner of US-192 and Formosa Gardens Blvd. 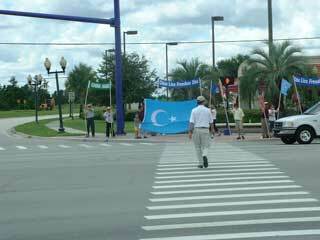 Largest East Turkestan flag in southern US flies on a Kissimmee street corner at entrance Florida Splendid China. 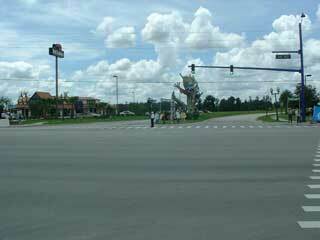 Northeast corner of US-192 (Irlo Bronson Highway) and Formosa Gardens Blvd. 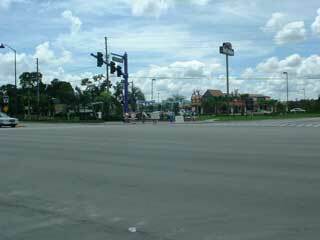 Southeast corner of US-192 (Irlo Bronson Highway) and Formosa Gardens Blvd. Entrance to Florida Splendid China. 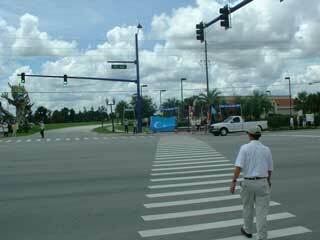 Northwest corner of US-192 (Irlo Bronson Highway) and Formosa Gardens Blvd. Entrance to Florida Splendid China. Entrance to Florida Splendid China on corner of US-192 (Irlo Bronson Highway) and Formosa Gardens Blvd. The Uyghur American Association, as representatives of the Uyghur people in the United States, are here today to memorialize the leaders of the East Turkestan Republic, tragically killed in a plane crash some 53 years ago. Their contributions to a free East Turkestan will always be remembered. The Uyghur American Association denounces the inclusion of Uyghur exhibits at the Florida Splendid China theme park. The Uyghur people are only considered Chinese due to the might of Peoples Liberation Army weapons wielded at the will of the Chinese Communist Party. We reject the renaming of the Tomb of Apak Hoja, our great 17th century religious leader to a Chinese name. The 73 people buried in the original are Uyghur and is a distortion of history to claim otherwise. The Chinese name also besmirches the honor of Ipar Han and the great sacrifice she suffered to keep from being called Xiang Fei or Fragrant Concubine. 1. Our call for the immediate release of all political prisoners held in Chinese punitive institutions. Rebiya Kadeer, mother of ten. Arrested 11 August 1999 before speaking with US Congressional delegation. Hada and Tegexi, Mongols sentenced to 10 and 15 year prison terms for their involvement in activities to revive centuries old customs to Genghis Khan. And the tens of thousands of other known and unknown political prisoners, struggling to find their own human dignity in the face of Chinese government atrocities. 2. Our call for the Chinese government to immediately speak in substantive terms with the Dalai Lama of Tibet on the future of a greater China and an autonomous Tibet. 4. Our call to the United States government to fully embrace the high ideals of the Founding Fathers and immediately state in no uncertain terms US commitment to the safety and security of a democratic Taiwan. 5. Our call to the Chinese government to open their hearts and ears and take the valiant step to cast aside one-party rule in favor of an open and free democratic society. 6. Our call to end the crackdown on Falun Gong and its peaceful followers, to immediately release all Faun Gong followers from prison or laogaiju, and erase all laws that make it illegal to practice. 7. Our call to remove and/or re-label the exhibits in the Florida Splendid China theme park that misrepresent the history and cultures of Inner Mongolia. Eastern Turkestan, and Tibet. The South Florida Chapters of Taiwanese Association of America (TAA) and Formosan Association for Public Affairs (FAPA) will join Citizens against Communist Chinese Propaganda (CACCP) for a demonstration at noon on August 31, 2002 at Florida Splendid China in Kissimmee, Florida. China has persistently interfered with attempts by Taiwan to establish diplomatic relationships with other countries or to join international organizations. Recently, when Taiwans President Chen Shui-Bian made a statement that there is "one country on each side" [of the Taiwan Strait], China threatened war. 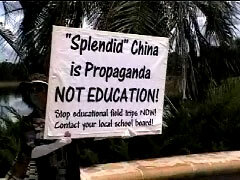 Located near Orlando, Florida Splendid China has been in operation for several years. According to David Hung, the president of South Florida Chapter of TAA and former Central Committee member of WUFI-USA, Florida Splendid China may appear to be a commercial entertainment facility. Its real purpose, however, is to conduct propaganda for communist China. Its behind-the-scene true owner is the Chinese government. This Chinese government-owned and operated "enterprise" has endured financial losses each year. However, it continues to operate as usual because its goal is not to make profit but to showcase the "great Chinese culture." This "entertainment facility" presents Taiwanese, Tibetan, East Turkestani, and Mongolian cultures, each as a part of the greater Chinese culture and claims that these "minority" cultures retain their uniqueness under Chinas protection. Nothing can be further from the truth. The fact is Taiwan is not a part of China. Further, China has been using its army to oppress the Tibetans, East Turkestanis, and Mongolians. In their homelands, many of the "minorities" have been either executed or jailed for life on accusation of treason. Others have been sent to labor camps. Since Chinas occupation of Tibet, the large influx of Han immigrants has also dramatically disturbed the once "land of peace and serenity." China stop its imperialistic claim over Taiwan. Taiwanese culture is not Chinese culture. China stop it hegemony toward its neighboring countries. China stop its oppression of the Tibetan, East Turkestani, and Mongolian peoples. 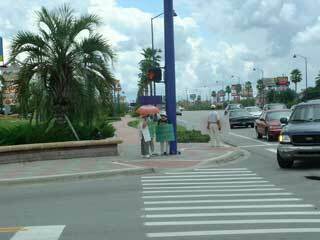 China discontinue its Florida Splendid China operations. The World United Formosans for Independence-U.S.A. (WUFI-U.S.A.) hereby declares its strongest support for Taiwan President Chen Shui-bians call for a referendum on the future of Taiwan. We fully agree that the fate of the 23 million inhabitants of the island nation must be determined solely by the Taiwanese people themselves. This fundamental right to self-determination is enshrined in the Charter of the United Nations. WUFI-U.S.A. condemns Chinas vicious attacks on Taiwan President Chen Shui-bian. No foreign country, lest of all China, should interfere with the internal affairs of the Taiwan nation. Furthermore, it is appalling for a dictatorial Communist China to threaten a free and democratic Taiwan. China fears the expression of the wishes of the Taiwanese people to be free and independent. Chinas imperialistic designs on Taiwan are clear for all to see. WUFI-U.S.A. calls upon all freedom-loving nations of the world to denounce China and support Taiwan. Let the people of Taiwan determine their own future through a public referendum.